At the end of last year, as legalized cannabis for medical use was passed by Thailand’s National Legislative Assembly, there was talk of a more liberal drugs regime in Thailand. 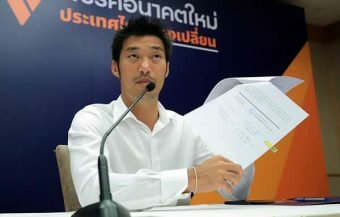 So far in 2019, as Thailand’s awaits the signing of the new law in to effect, things look altogether different. There has been a noticeable increase in the intensity of the drugs war against the drug barons who continue to flood Thailand with illegal methamphetamine drugs, causing havoc wherever they go. There seems to be a new impetus to take the fight to the drug lords in the Golden Triangle and to win. This includes cutting off their supplies, harsh sentencing for drug kingpins or their associates and decisive operations against border drug runners. Figures released last week by the Thai Office of Narcotics Control Board (ONCB) show a record number of seizures and arrests in the past three years. There are also new initiatives working with other nations also facing the threat. The crackdown even includes more cooperation from the public in identifying drug dealers to police. The latter tells us something about the impact of the methamphetamine menace. 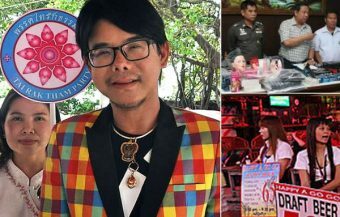 There are also ongoing raids on entertainment venues throughout Thailand as part of the crackdown. Even as Thailand’s awaits its new legal provision for medical cannabis to signed into low, the drugs war against illicit drugs in the kingdom is actually intensifying. It comes with reports of record arrests, Thai courts handing down the ultimate sanction to drug dealers and a newly targeted campaign against the Golden Triangle drug lords. For drug dealers at all levels and even recreational users in Thailand, the heat is on and the message is clear. Thailand does not tolerate recreational drugs. Burmese woman, Nan Mying Thein Aye, who was last week given the death sentence by the Thai Criminal Court in Bangkok. She was found to be involved in money laundering and wholesale drug dealing by the court. The former business woman was arrested in November 2017 on a medical visit to Bangkok by Thai authorities in a high profile swoop on her van by armed police and officials. Thai police first detected the woman’s name when drug dealers in Chiang Mai were asked to transfer ฿13.5 million into an account in that province controlled by her. Ms Thein Aye ran a chain of currency exchange shops in Thailand and Myanmar. Authorities tracked drug money being used for gold shops and hotel ventures in both countries. It is one of a number of death sentences handed down to foreigners in the last 12 months as Thailand’s authorities appear to be ramping up the fight against illegal drugs, the scourge of methamphetamine and the use of Thailand as a transit point for drugs to other countries. The extreme violence and craziness of Thailand’s drug trade can be seen from an arrest last week which saw a Thai man arrested in Phatthalung province in the balmy south of Thailand. The man was arrested after police found a huge stash of over 76,000 methamphetamine tablets in his home. The spread of this drug, particularly with pills often mixed with caffeine, is causing havoc not only in Thailand but throughout the world where many young party goers are getting hooked on its effects which can quickly turn sour and degenerate, over time, into mental health conditions. Thai police arrested the 29 year old, named by police as Phurithat Buakaew after discovering the drugs. The drugs stash was found at his home in the Muang area of the province in the early evening after, it was reported, police got a valuable tip off from neighbors of the man. There are reports that he was selling the addictive substance to teenagers in the locality where he lived. Thai police, in the initial search of his home, discovered 7,000 pills as well as two handguns and ammunition. However, the arrested man was interrogated at the local police station in Phatthalung where he admitted to having even more drugs located at a rented apartment he had taken in the Tambon Khuha Sawan. Police raided that property, which consisted of one room, and located a further, even bigger haul of methamphetamine drugs and a range of handguns with assorted ammunition. In all, it is reported that police seized 76,000 pills and six handguns. The man had told investigating officers that he had taken delivery of a new consignment of drugs just three days before his arrest on January 30th from a source in Myanmar. This striking success by the Thai police in the southern province came only two days after their colleagues in northern Chiang Mai seized over 3 million methamphetamine pills after a violent firearms exchange between them and a trafficking party. The battle is believed to have taken place in the north of the province. Police had stopped a vehicle driven by a 26 year old Thai man who immediately turned violent and exchanged gunfire with authorities. He lost the struggle and was killed by security forces. Thai authorities are believed to be pretty certain that the drugs he was ferrying originated from across the Thai border in the golden triangle. The two successful operations come after a year in which huge amounts of methamphetamine drugs have been detected and many drug dealers killed or arrested by Thai security forces. 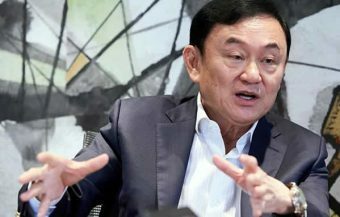 A key problem for Thai authorities has been the numbers now being held in Thai prisons and the credible reports that the drug barons have devised a new formula for producing the pills which is cheaper and involves more generic ingredients. However, there now appears to be a fight back against the criminal trade led by a concerted effort of the nations impacted by the surge in methamphetamine drugs and its effects on young, active people. The Secretary General of Thailand’s Office of Narcotics Control Board has revealed that Thai authorities are beginning to target one of the most significant drug producing areas near the Mekong River. Mr Niyom Termsrisuk, who recently led a presentation to the media on Thailand’s cooperation with its Australian counterparts in fighting the drugs menace under Task Force Storm, has revealed that 54% of illicit narcotics are now believed to be entering Thailand through its northern provinces. His agency is now focusing on this particular area. He revealed that Thai officials, working in conjunction with counterparts in China, Myanmar and Laos, had intercepted two tonnes of what he described as precursors or substances that were esquire to produce methamphetamine pills. It effectively amounts to a strategy of stopping the drug barons from getting the materials need to manufacture their destructive substances. Authorities, it has been revealed, have been able to seize no less than 2 tonnes of these products in the period from October 1st 2018 to the end of last year. Mr Termsrisuk pointed out last week that this would be enough ingredients to make 30 million methamphetamine pills. At the same time, Thai security authorities have been working in cooperation with authorities in Mynamar (formerly Burma) to block all supplies that may be needed for drug making, reaching drug production areas across the border from Thailand in areas that are not fully controlled by the government of Myanmar. These efforts have also resulted in a more effective border regime for halting drugs incoming to Thailand. It comes as Thai authorities have revealed that police have seized over 200 million methamphetamine pills and seized ฿243 million over a three year period, a large increase over the previous period. In that period, over 90,000 people have been arrested on drugs offences while a further 30,000 has been sent to state sponsored drug rehabilitation schemes run from centers throughout Thailand. The Secretary General of the Office of Narcotics Control Board emphasized the danger of methamphetamine drugs which are now the most overwhelming drug threat to the Thai population. Experts worldwide have consistently confirmed that the drug has no redeeming qualities, is addictive and destructive to the human condition. 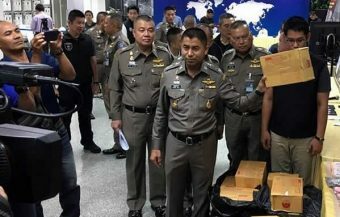 Thai authorities however are under no illusion that the record number of arrests and seizures are symptomatic of increased shipments as Thailand has become a major transit point for drugs being shipped to western countries. The numbers being arrested has driven a chronic overcrowding problem in Thailand’s prisons for some time now. Some laws were passed recently by Thailand’s National Legislative Assembly to relax stiff mandatory prison sentences for possession of small quantities of drugs and there have been reports that some Thai officials are concerned by the numbers, particularly of Thai women, being imprisoned. Despite this and even with the legalization of cannabis under strict conditions for medical use, which now awaits the signature of the Thai monarch, there is still a new found determination by Thai authorities to continue the fight against illegal drugs and criminal drug barons beyond its borders. 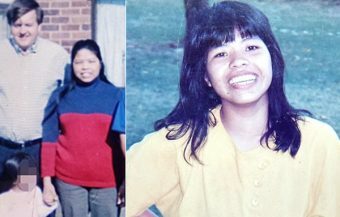 This week, a Burmese woman was sentenced to death for money laundering linked to the drug trade while a number of drug kingpins, including Australian and Malaysians, alongside Thai accomplices, have also received death sentences in the last 12 months. It is a hard call for Thai authorities who are acutely aware of the social impact of imprisoning small time drug users but the sheer scale of the threat from methamphetamine drugs has to be countered. The suppression of illegal drugs has been an ongoing campaign waged by the current Thai government since it came to power in 2014. It has seen continuous and often random operations carried out by officials and security forces aimed at screening for and the detection of illegal recreational drugs. This crackdown on recreational drug taking seems, remarkably, to have stepped up a gear in recent months in spite of media talk of a more liberal attitude towards drugs in Thailand. 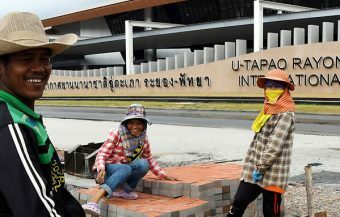 It is reported that Thailand’s Internal Security Operation Command has been working with the Office of Narcotics Control Board to more closely monitor and gather intelligence on drug runners reportedly using small scale couriers and even taking advantage of commercial courier firms and mail services in Thailand. This comes with reports of more ingenious and innovative distribution tactics being used by the huge drug syndicates. This has resulted in authorities insisting that all commercial courier firms install surveillance cameras or CCTV at pick up office or commercial depots. 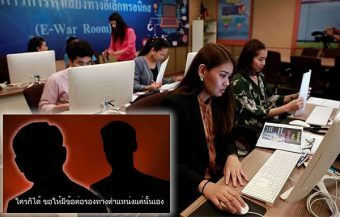 Major General Thanathip Sawangsaeng told one popular Thai news website, Khaosod, that it was crucially important that all courier firms know the identities of senders and exactly what the contents of packages are. Just last week, another police operation led to nearly 3 million methamphetamine pills being seized in Chiang Rai, another northern province at the coal face of Thailand’s drug war. Police and soldiers attempted to stop an Isuzu pickup registered in Bangkok, on a local road. The vehicle fled the scene causing security forces to respond and pursue the vehicle at speed. The pickup, driven in panic, veered off the road and crashed into a ditch. Two occupants of the pickup truck emerged, one with handgun. An exchange of fire with the security forces ensued. 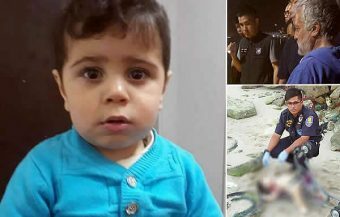 Both were killed and their bodies found 7 meters from the crash site. One firearm, reported to be a .38 calibre pistol, was retrieved among the two dead bodies. A search of the vehicles found 19 sacks comprising of 150,000 methamphetamine pills and nearly 3 million amphetamine pills. 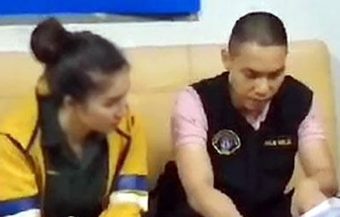 Police Lieutenant Colonel Chinnapat Sarasin, who leads the Narcotics Suppression Bureau, revealed to the press that security services had received tip off of a drugs consignment crossing the Thai Myanmar border. Things are reported to be getting very hot for the drug runners and anyone associated with the illegal drugs trade in Thailand right now. 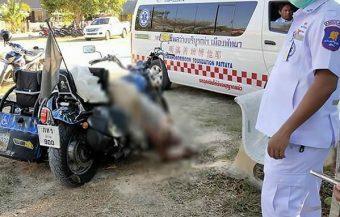 The successful operation came after a Burmese woman received the death penalty for laundering money the proceeds of drug crime. The sentence was handed down by a Thai court on January 26th. 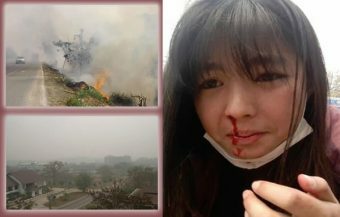 The woman, named as Nan Mying Thein Aye strenuously denied any guilt in the matter. She was originally arrested in Thailand after Thai police uncovered links between her numerous currency exchange shops in Thailand and Myanmar and the proceeds of drugs deals. 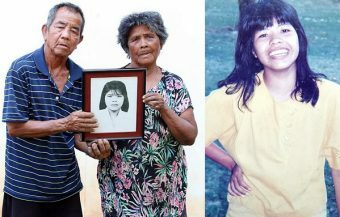 The death sentence was handed down to the 43 year old Ms Thein Aye by the Criminal Court in Bangkok. The court found that she had laundered the proceeds of illegal drugs income through her business while also financing drug shipments and acting as a drug dealer. 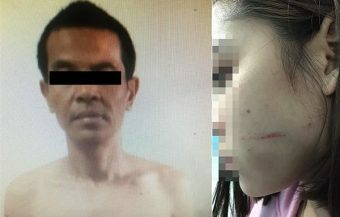 Her arrest occurred in November 2017 when Thai police from the Narcotics Suppression Bureau swooped on her passenger van in Bangkok. 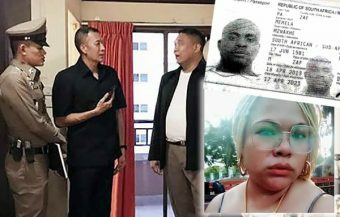 It is reported that elite Thai investigators had been following the drugs gang and organisation lead by Nan Mying Thein Aye for some time after her name crossed their enquiries. Thai police believe that she was part of an even larger drugs syndicate, deeply involved in the distribution of methamphetamine in Thailand and elsewhere. Her arrest in Bangkok is believed to be have taken place when the 43 year Burmese woman was on a trip to the city seeking medical attention. It is believed that her name came to the attention of Narcotics Suppression police after a gang was arrested in 2016 in Chiang Rai. A drugs deal had been agreed between the gang and a crime syndicate for the supply of illegal drugs. 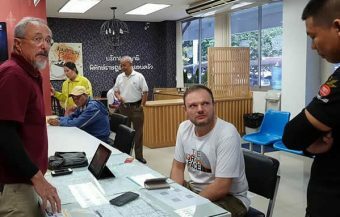 The gang was told to transfer funds to the value of ฿13.5 million into an account controlled by a woman in the same locality, the Mae Sai area of Chiang Mai. Thai police found that this money was subsequently used to open gold shops as well as a number of hotel operations in both Thailand and Myanmar. 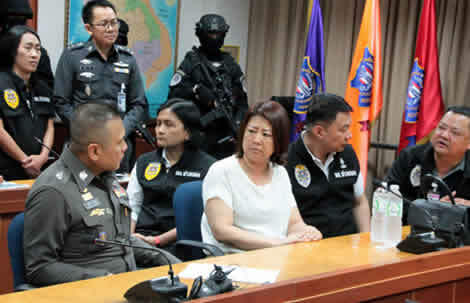 Police have also revealed that shortly after the arrest of Ms Thein Aye, they arrested other members of the drugs gang associated with her in December at a raid in Samut Prakan province near Bangkok. Meanwhile, at the consumer end of the illegal drugs world, the heat is also being turned up. There has been a noticeably intensity in police raids and operation in recent weeks and months targeting nightclubs and entertainment venues throughout Thailand but particularly in Bangkok. Such raids are now being conducted by Thai police accompanied by local officials. 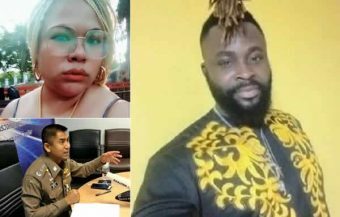 In the early hours of the 10th January, a police raid brought proceedings to halt at a popular entertainment venue in the city known as 56 Arena Music Hall. The venue was located in the fashionable Sathorn district of Bangkok on Charoenrat Road. Officials turned up at 2.30 am. It is reported that up to 800 customers where on the scene when Thai police and provincials turned off the music and switched on the lights. 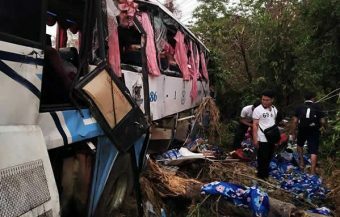 114 people in all were detained by Thai police after all subsequently tested positive for drug use. This is usually achieved by police requesting urine samples from nightclub party goers on the spot. In the aftermath of the raid and police operation, 200 plastic bags were found containing the crystal meth drug while 45 were found to contain ketamine and 9 further containing ecstasy pills. 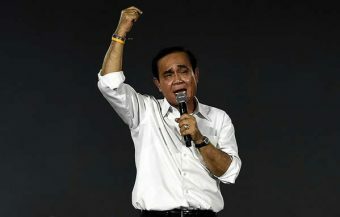 It is reported that authorities are considering closing the venue for 5 years under powers conferred by the National Council for Peace and Order or the Thai junta. Nearly 70% of those arrested for drug taking were men while only 30% were women. Two individuals were under twenty years of age and one other under eighteen. The owner of entertainment hot spot was reported to be facing charges of operating the establishment without a proper licence, selling alcohol products beyond the hours permitted by law and regulation, allowing people under the age of twenty admission to the venue and allowing the consumption of illegal drugs.